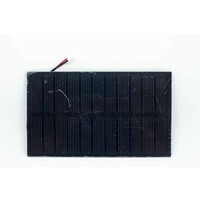 This unique solar panel is made of single-crystal material that performs high solar energy transformation efficiency at 17%. The fine resin surface and sturdy back makes it perfectly suitable for outdoor environments. A 2mm JST connector is attached to the panel, which makes it perfect to team up with most of our can-use-solar-power-supply boards such as the Seeeduino microcontroller series, Lipo Rider charging boards series and the XBee carrier WSN products series. The typical open circuit voltage is around 5V, depending on light intensity. 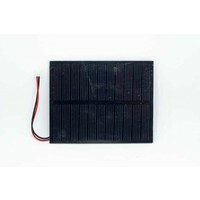 In those bright summer days with clear sky and big sun, the peak OC voltage can rush up to 10V. 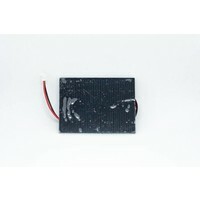 To prevent any damage to boards that accept a narrow range of input voltage, like Lipo Rider, it’s recommended to check whether the OC voltage is safe before any connection. Consider alternatives to power your projects, such as Hydro Generators or Lithium Ion batteries. For more information on this product click here.